“I have been surfing since the age of 16 and this is my main occupation.” – Sounds like someone is living a dream! 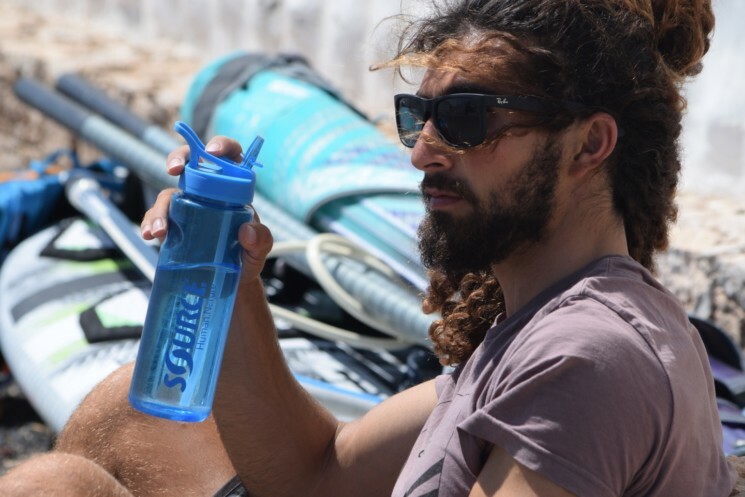 We are happy to support world class Freestyle Windsurfer Dudu Levi with SOURCE Hydration gear this season. 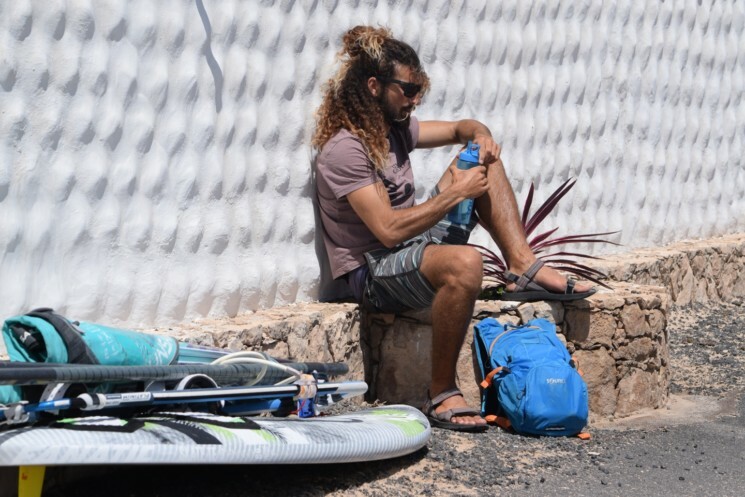 We had a chat with him shortly before his first PWA World Tour Windsurfing event. Hi Dudu, first of all congratulations for qualifying for the World Tour Event, a great accomplishment! Ah I imagined you live in the sand on the beach. How do you practice, you drive an hour every time to the beach…? “I sail in lakes close to my house. And I travel a lot in the world, according to the seasons of the wind, I reach places that are different in the conditions of the sea and directions of the winds. 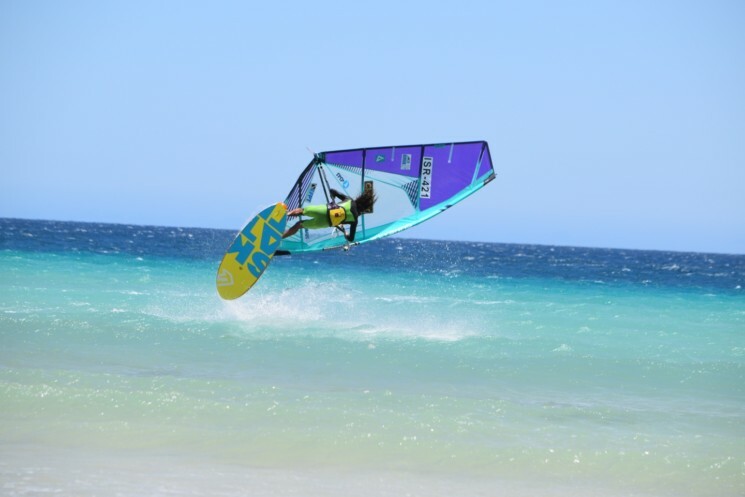 “I do freestyle windsurfing which means that with my equipment I can do a special things like jumps and slides, almost anything that comes to the mind. As your social media feed proves – some great pictures and clips! And in terms of practicing, I try to diversify activities during the days that I do not surf for example: running, cycling and swimming. In addition, every morning I start with yoga, so I keep the body from damage to the muscles and build it so that it can endure the extreme sports. 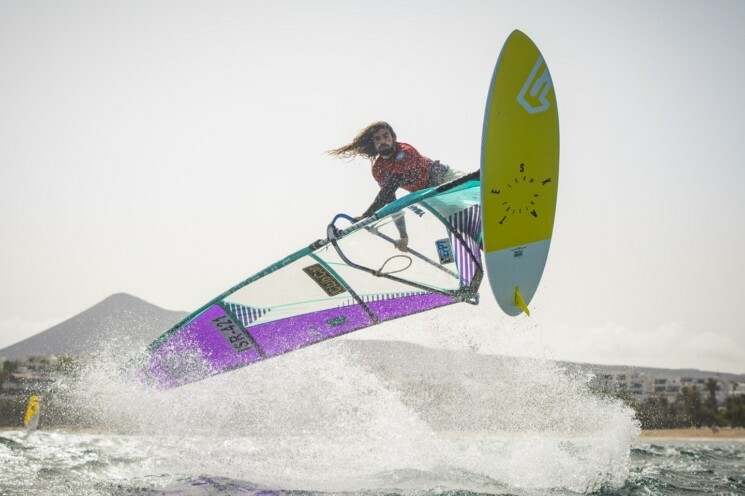 “This summer I had a great time already at the first events of the European Freestyle Pro Tour in Sardinia, Lanzarote and Fuerteventura, now it’s the event of the World Tour coming up … 2018 has been a great year. Thanks! Yes, also our Verve and Hipster Wave packs are made for watersports. Giving paddlers, surfers and sailors hands-free hydration on their vessel. We’ll be following you on Social Media! Thanks, have a great summer and good luck for the upcoming competitions! Find more details about our SOURCE Fuse Hydration Pack, ideal for the beach, biking or any other outdoor activity in our SOURCE online shop.